HOME DZINE Home DIY | The new Dremel Trio has arrived! 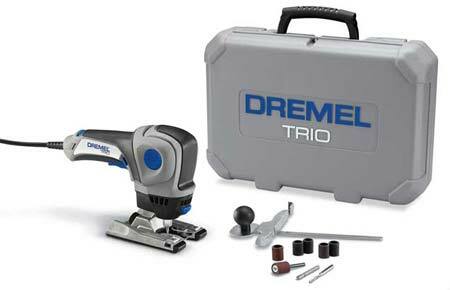 The new Dremel Trio has arrived! 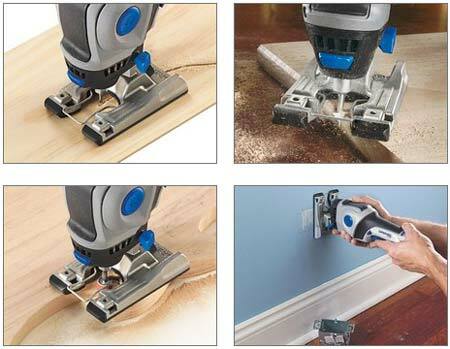 With the Dremel TRIO you can cut, sand and rout with one small, yet powerful tool. It's perfect for projects in and around the home. Cut wood, plastic, drywall, sheet metal, wall tile and more with one tool. The unique 360-degree cutting technology and plunge-cut ability allows users to make quick and controlled cuts, while its unique, 90-degree pivoting handle facilitates added control, comfort and accuracy. Plus, the kit comes complete with TRIO sanding and routing accessories and attachments, so this tool will complete your project from start to finish! Recently awarded the Popular Mechanics Editor's Choice, this is one tool that is going to be featured regularly in projects on Home-Dzine. My mind is overflowing with ideas that will be featured as soon as I get my Dremel TRIO warmed up!